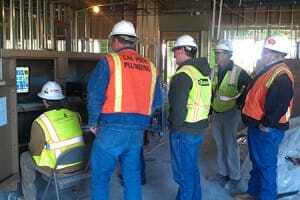 Gilbane offers a proven process to qualify and manage a wide range of subcontractors who exceed your expectations. We are excited about the opportunity to partner with you to help grow your business to reach new milestones.Integrating collaborative building teams for clients includes having the right subcontracting companies and tradespeople on site. For generations, our reputation has been built on the quality of our work, thanks in large part to the strong subcontractor relationships we have in areas all over the world. We accomplish this by working with you in the prequalification process, committing to prompt payment and providing measurable opportunities for small and diverse subcontractors. In our Gilbane Cares culture, concern for workers drives the actions that support our safety systems. Project managers and their teams care about the contractors on our projects and stay focused on following appropriate procedures. The number of accidents on our projects is considerably lower than the industry average and we’ve earned numerous industry honors as one of the safest contractors in America. We also offer a world-class training program that includes safety training in both English and Spanish, CPR and First Aid courses for subcontractors. Get qualified today!